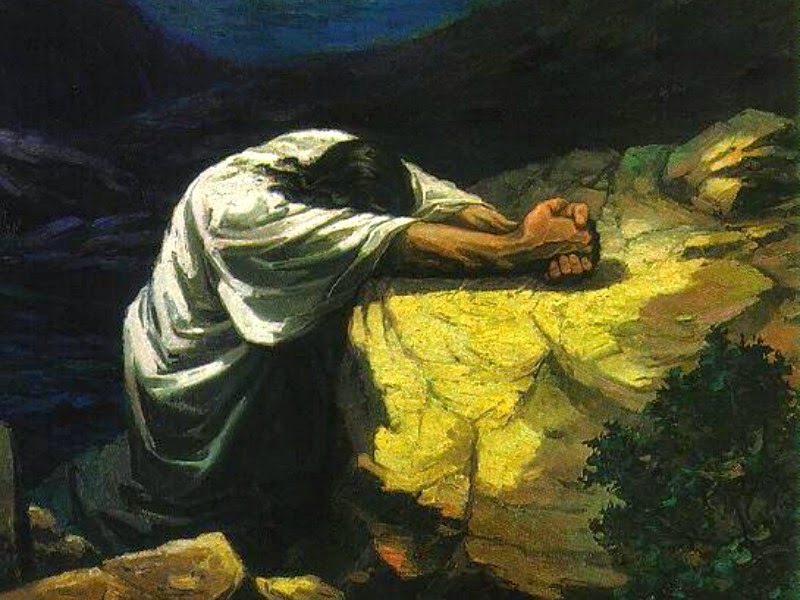 "They went to a place called Gethsemane; and he said to his disciples, "Sit here while I pray". He took with him Peter and James and John, and began to be distressed and agitated. And he said to them, "I am deeply grieved, even to death; remain here, and keep awake." And going a little further, he threw himself on the ground and prayed that, if it were possible, the hour might pass from him. He said, "Abba, Father, for you all things are possible, remove this cup from me; yet, not what I want, but what you want." And once more he came and found them sleeping, for their eyes were very heavy; and they did not know what to say to him.